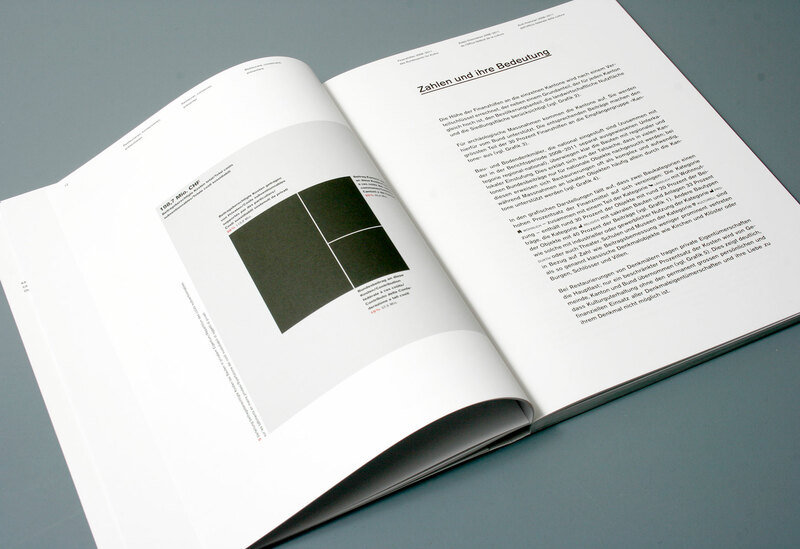 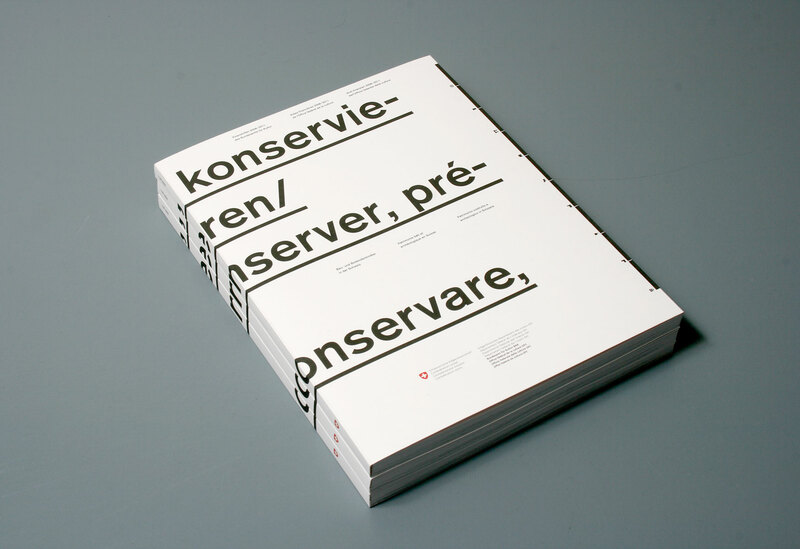 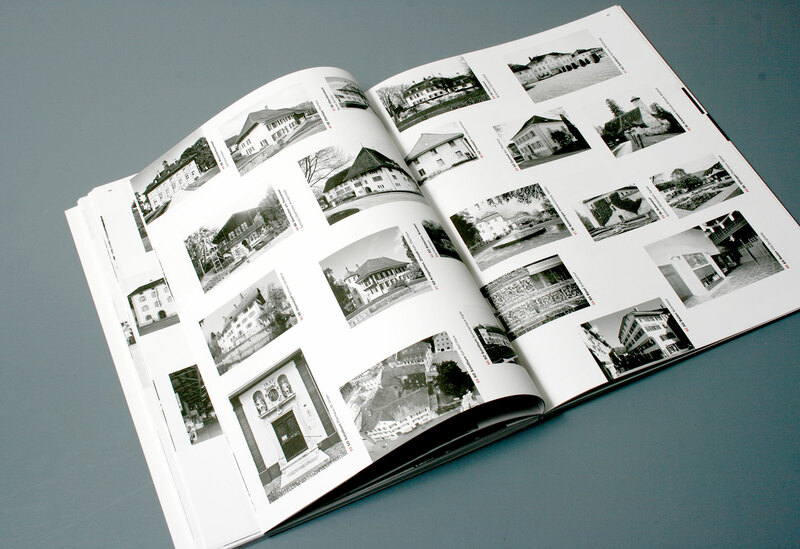 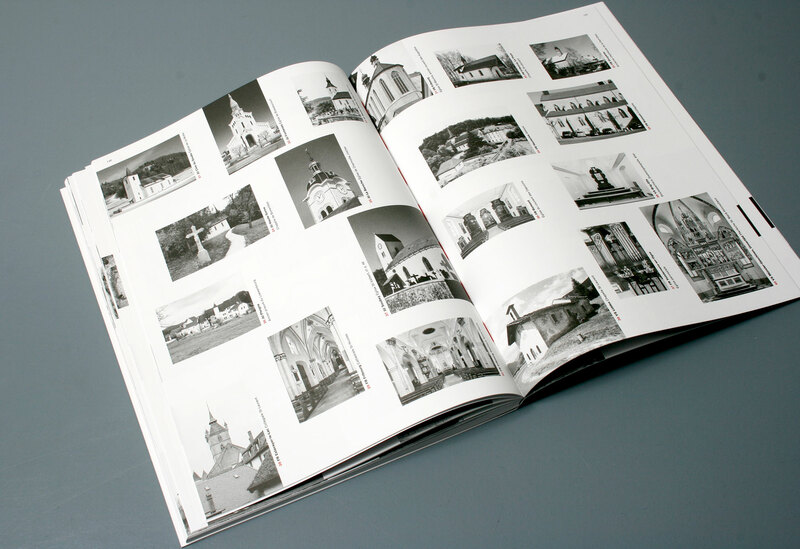 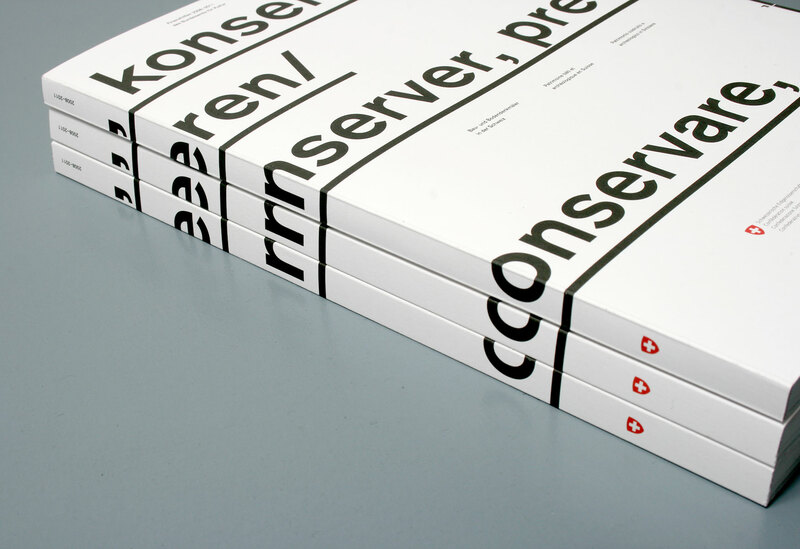 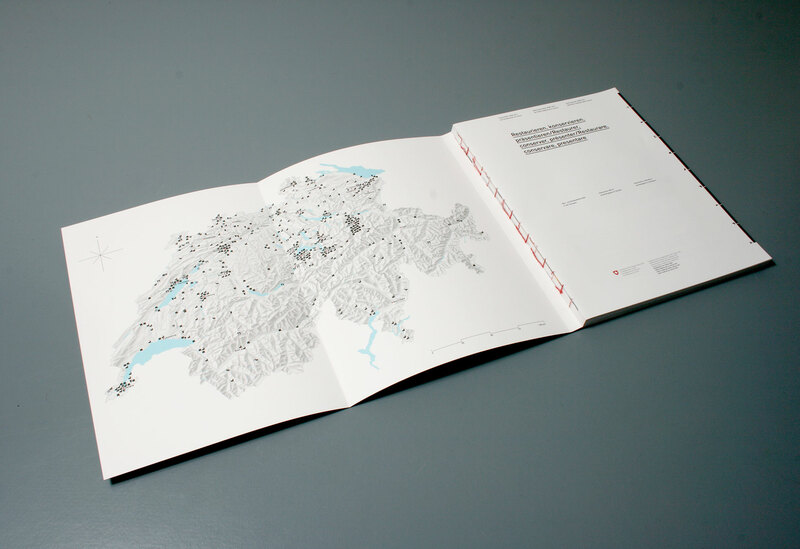 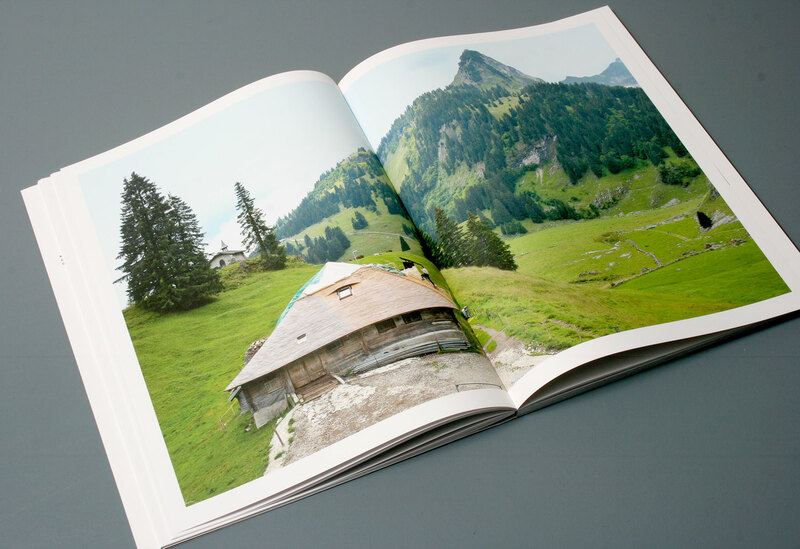 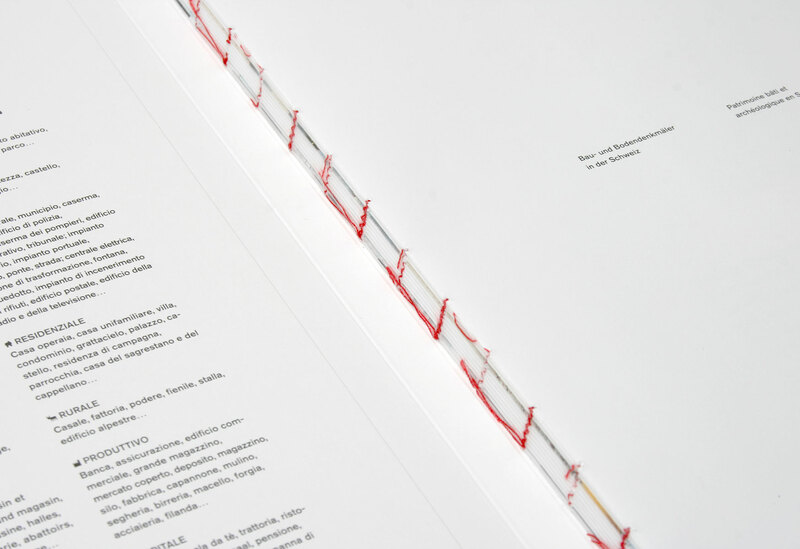 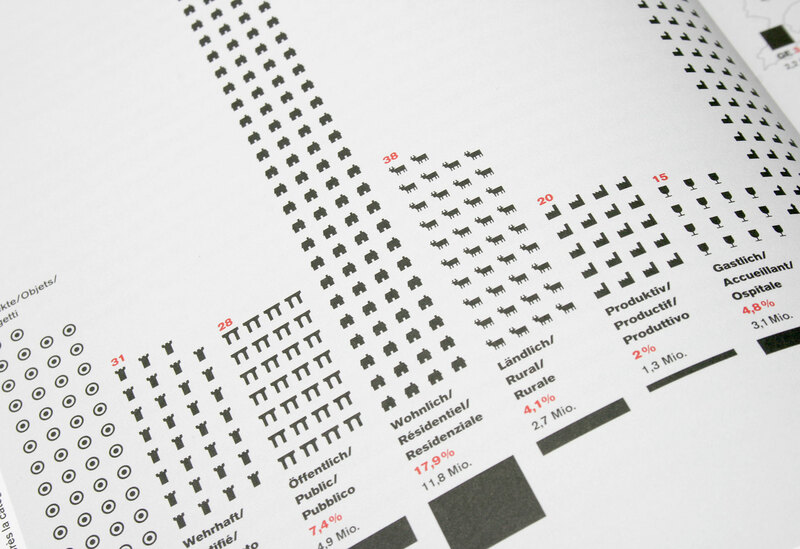 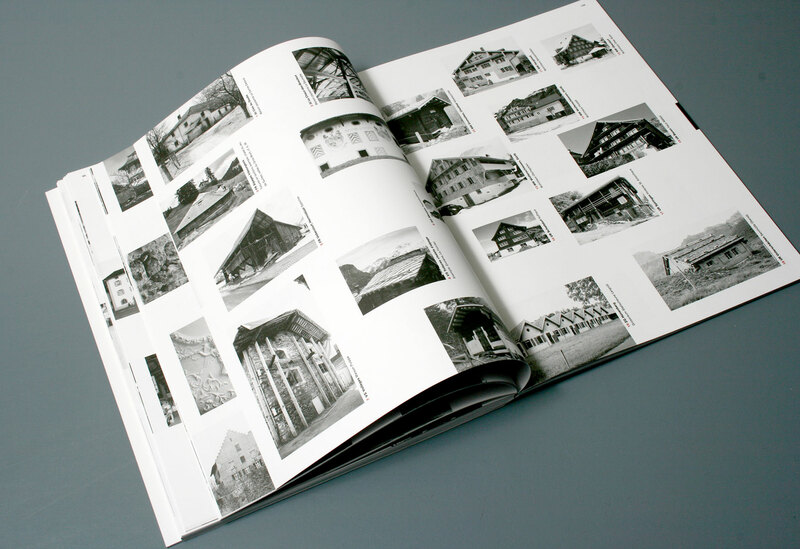 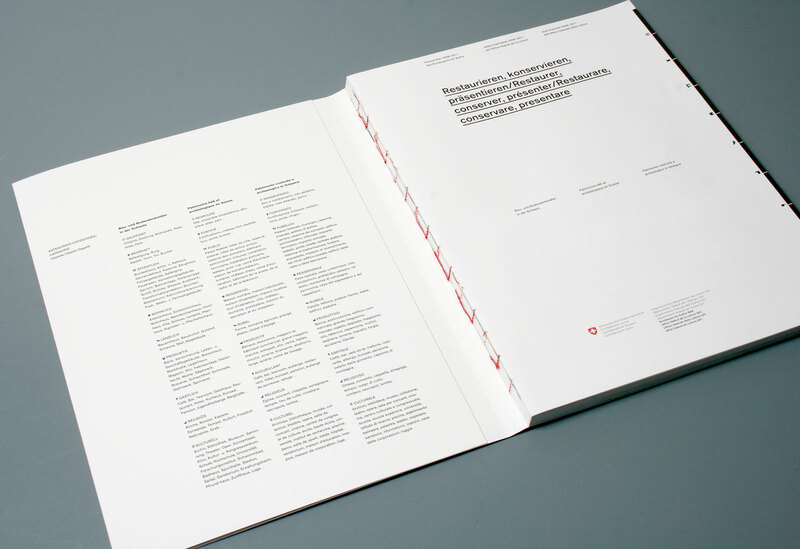 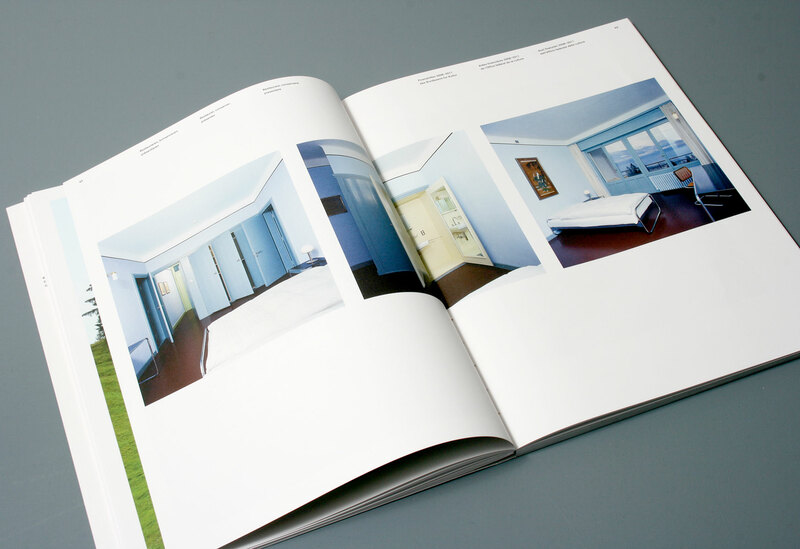 Conception and layout of a publication on the subsidies for the preservation of historical monuments granted by the Swiss Federal Office of Culture in the years 2008–2011. 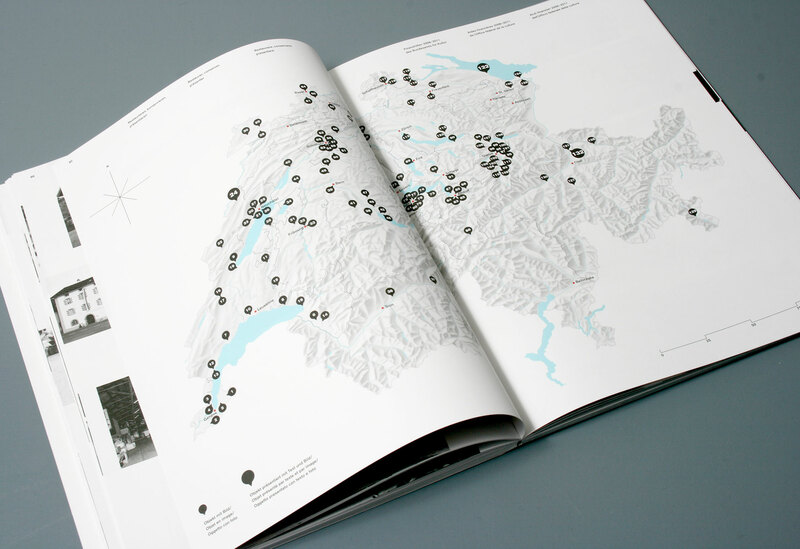 The 481 heritage and archeological sites, subdivided into nine categories, are geo-localised on maps, presented with texts and additionally illustrated with photos and infographics. 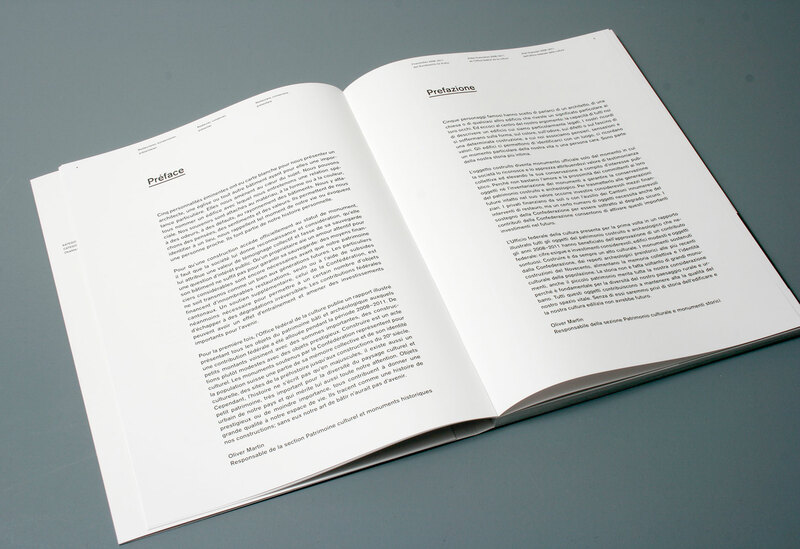 Publication in three languages. 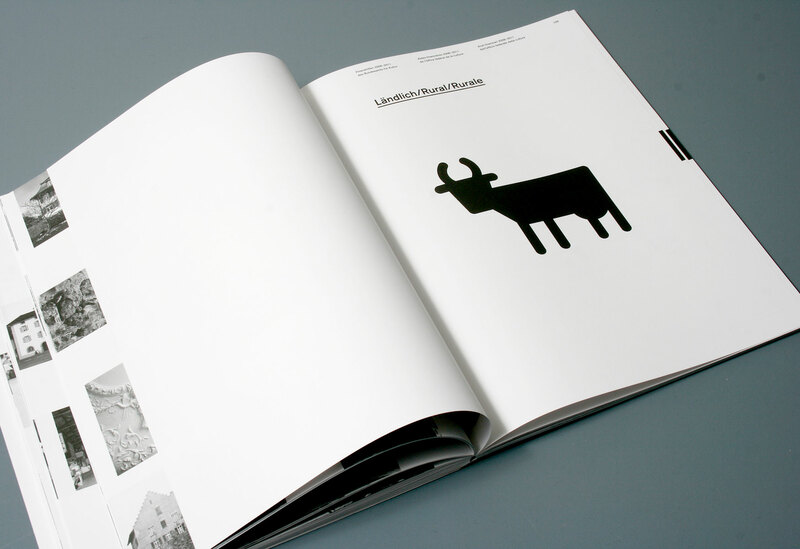 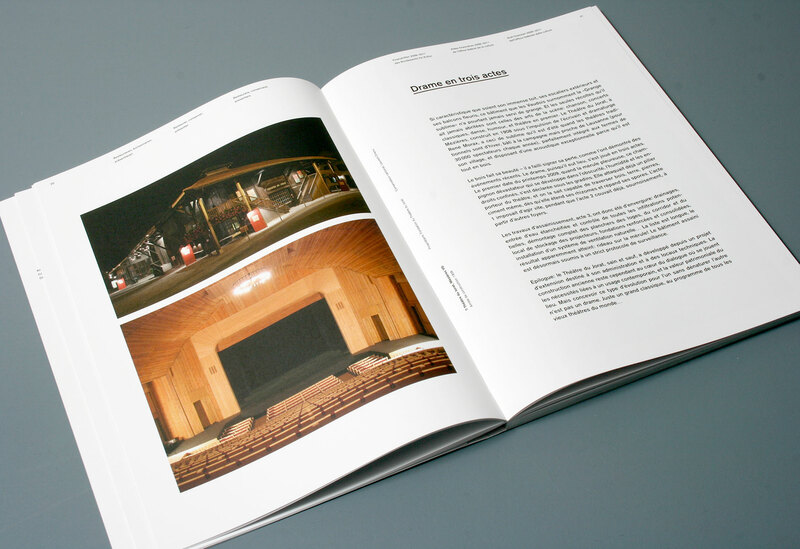 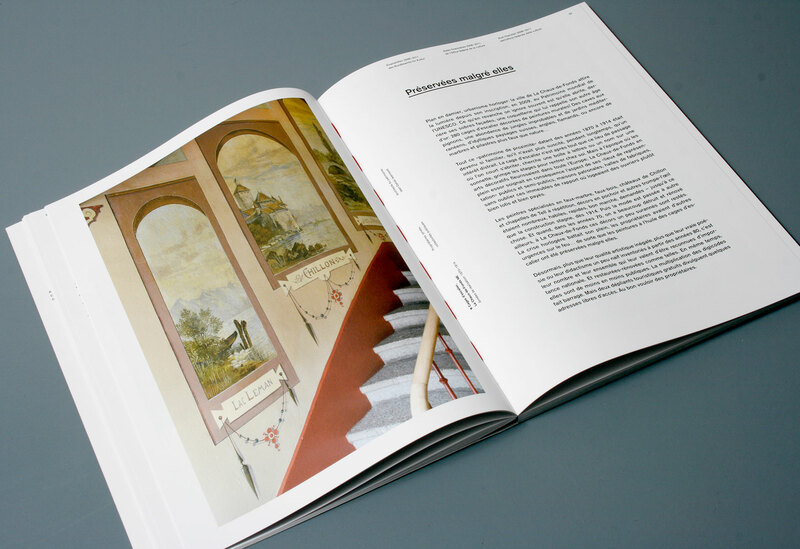 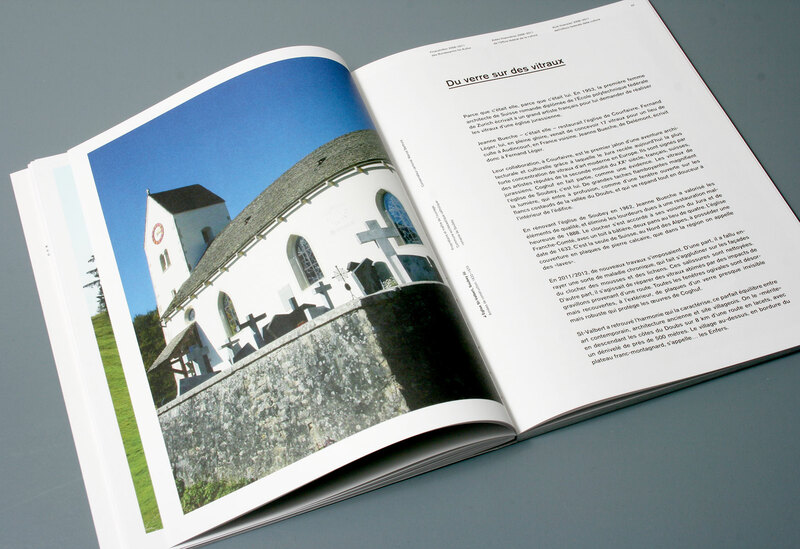 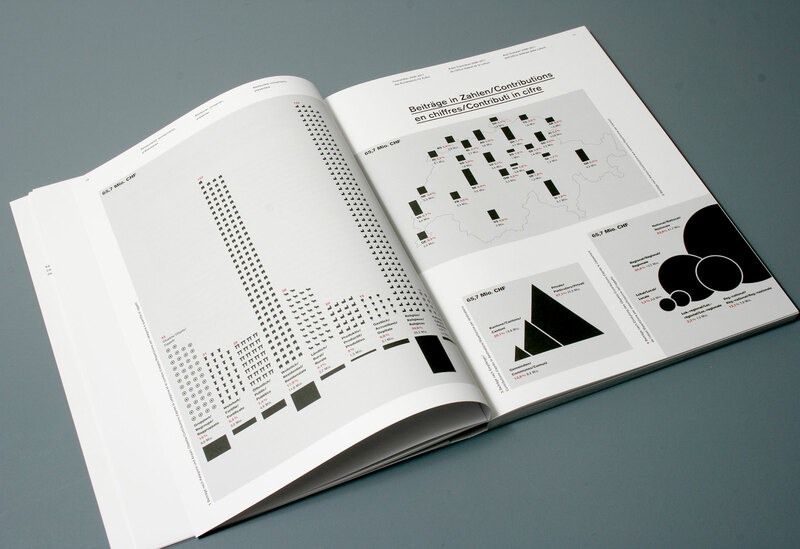 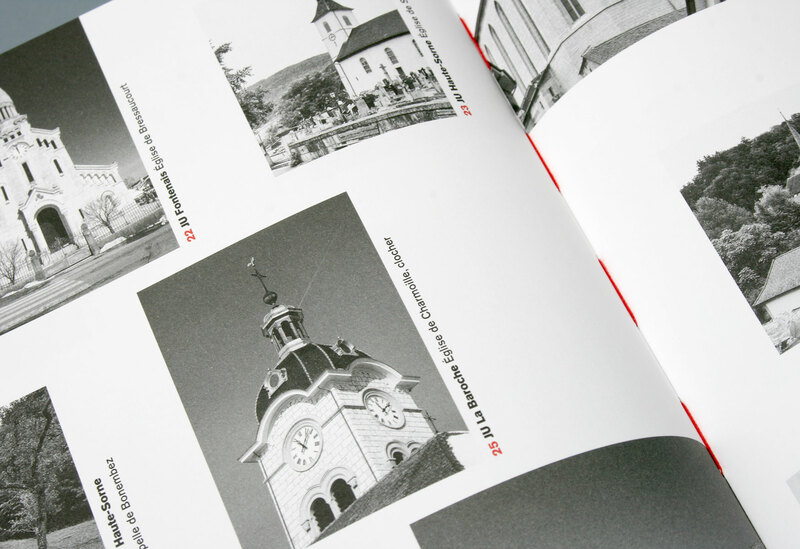 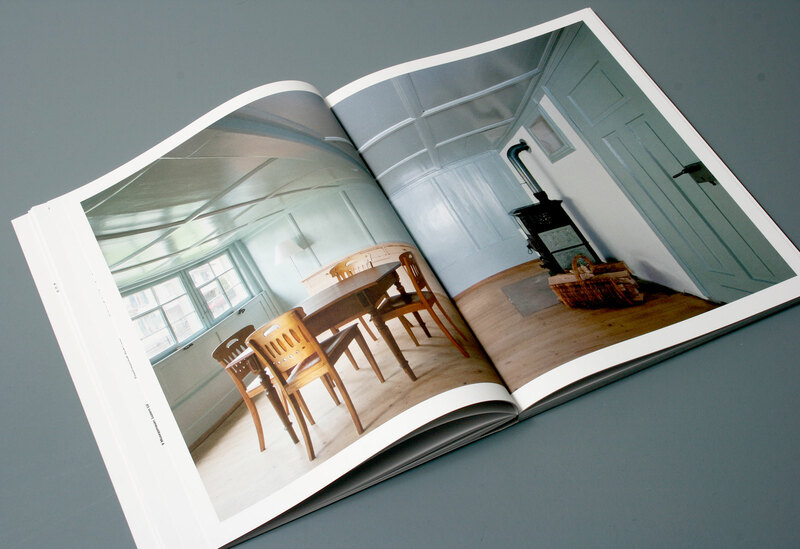 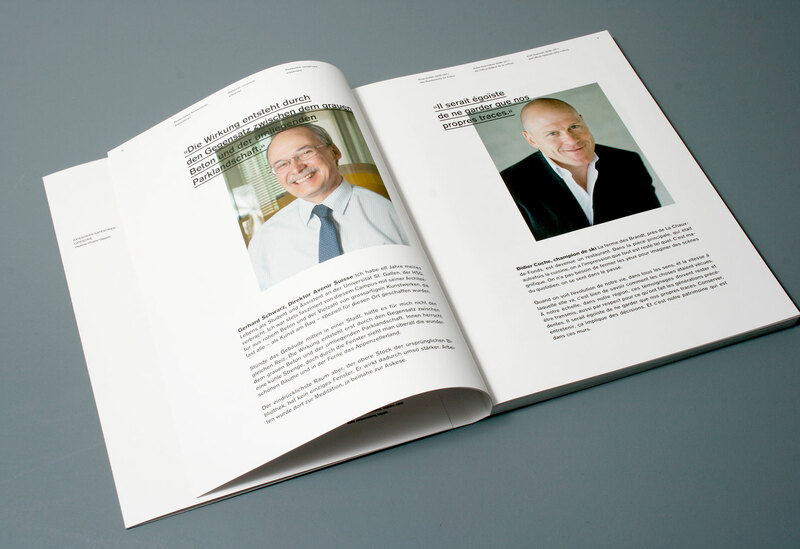 Layout d'une publication sur les aides financières 2008–2011 de l'Office fédéral de la culture pour le patrimoine bâti et archéologique en Suisse. 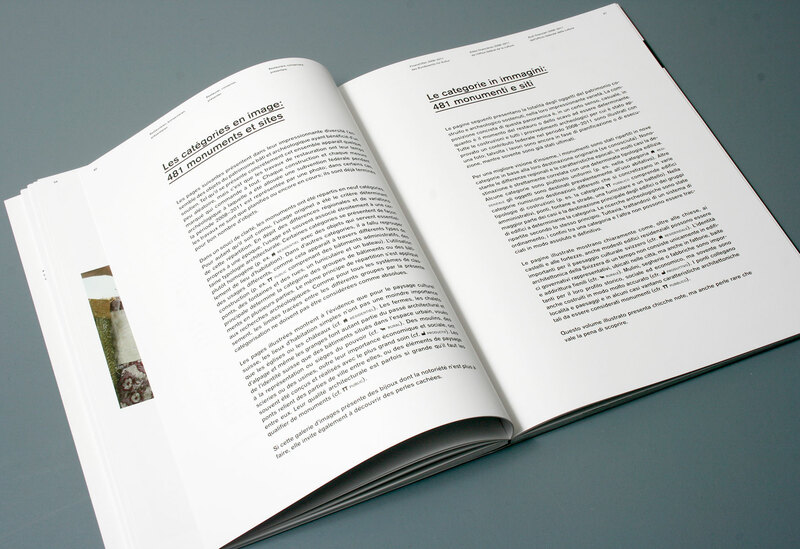 500 sites à localiser sur 10 cartes ainsi que 500 photographies à répertorier. 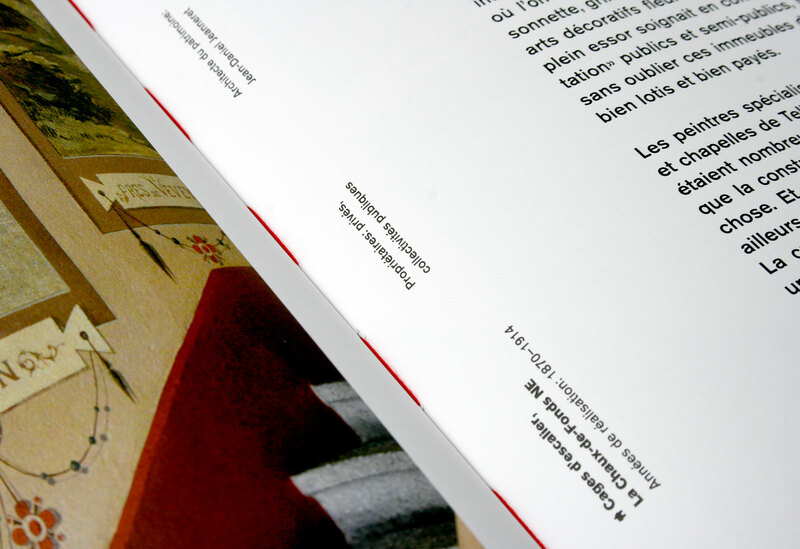 Publication en 3 langues. 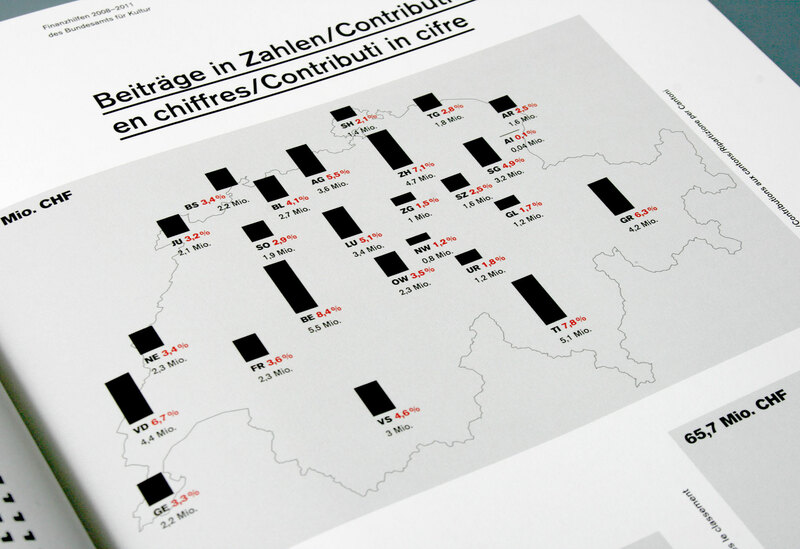 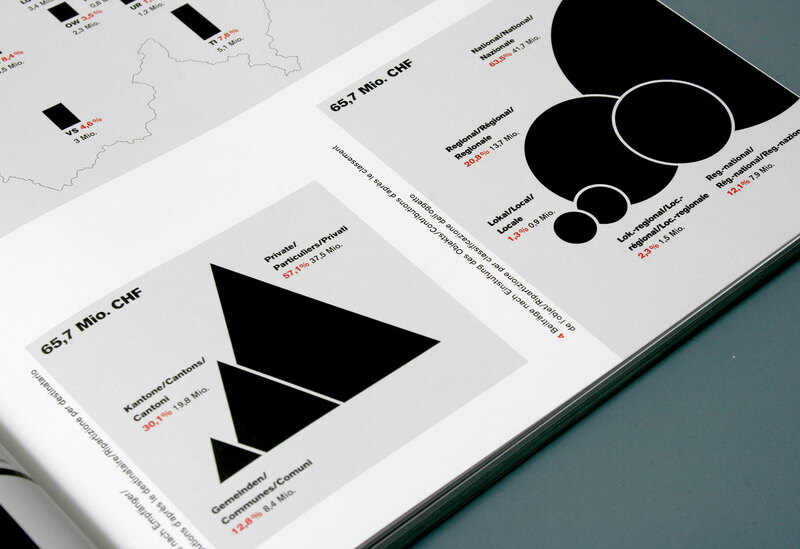 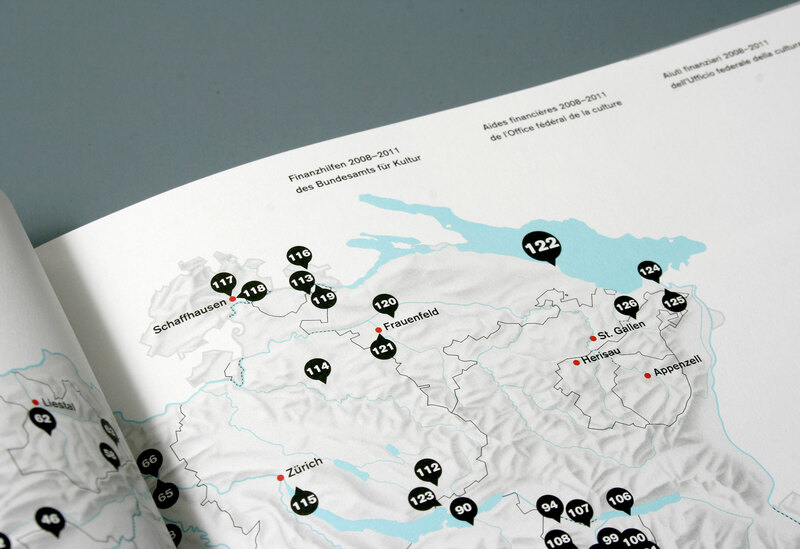 Konzept und Gestaltung einer Publikation der Finanzhilfen der Jahre 2008–2011 des Bundesamts für Kultur zum Thema Bau-und Bodendenkmäler in der Schweiz. 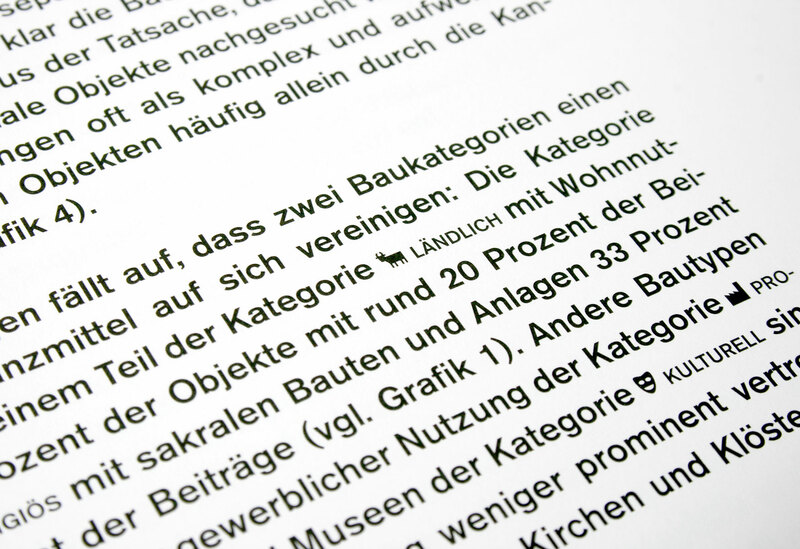 481 Bau-und Bodendenkmäler in 9 Objektkategorien unterteilt, auf Karten lokalisiert und mit Fotographien, Text und Informationsgrafiken beschrieben. 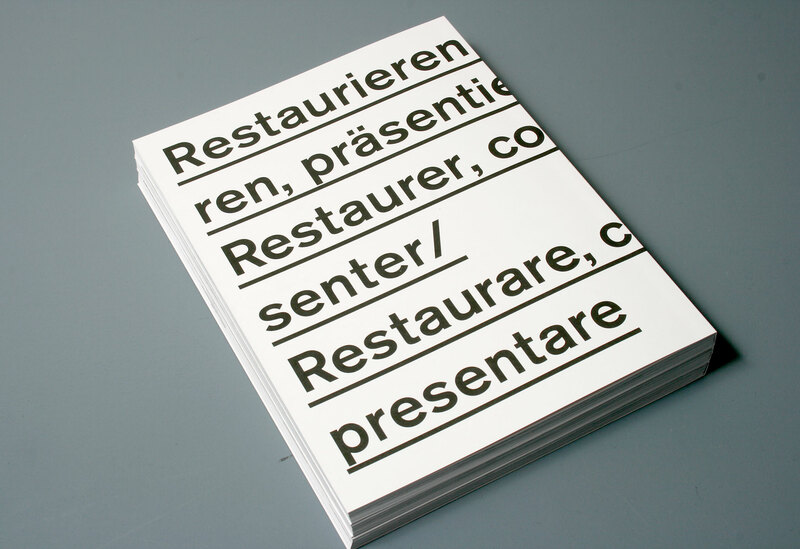 Publikation in drei Sprachen (DE/FR/IT).